The lateral collateral ligament, or LCL, is one of the four major knee ligaments. The LCL connects the end of the thigh bone (the femur) to the top of the smaller shin bone (fibula), on the outside of the knee. The LCL helps to prevent excessive side-to-side movement of the knee joint. When the LCL is torn, the knee joint may bend too far inwards when stressed. People who injure their knee ligaments may develop sensations of instability of the knee joint. Instability is the symptom of the knee wanting to buckle, or give-out. People who have instability of the knee joint may have abnormal sensations of the knee wanting to buckle, or it may suddenly buckle to the point that they fall to the ground. When the knee is unstable, it is often to perform many activities, especially those that involve side-to-side movements, twisting, cutting, or pivoting. For this reason, often athletic activities like soccer and basketball can be difficult or impossible for people with LCL tears. This is an incomplete tear of the LCL. The tendon is still in continuity, and the symptoms are usually minimal. Patients usually complain of pain with pressure on the LCL, and may be able to return to their sport very quickly. Most athletes miss one to two weeks of play. Grade II injuries are also considered incomplete tears of the LCL. These patients may complain of instability when attempting to cut or pivot. The pain and swelling is more significant, and usually a period of three to four weeks of rest is necessary. A grade III injury is a complete tear of the LCL. Patients have significant pain and swelling, and often have difficulty bending the knee. Instability, or giving out, is a common finding with grade III LCL tears. Grade III LCL tears commonly require surgical reconstruction. Grade III LCL tears are commonly seen in the setting of other damage within the knee. Specifically, the cruciate ligaments are often damaged in the setting of grade III LCL tears. Patients may do best using crutches to allow the knee to rest. Activities including sports should be avoided until the ligament is healed. A brace can help to support the knee to prevent stress on the healing LCL. Anti-inflammatory medications can help to control swelling and prevent inflammation. These medications should be discussed with your doctor as there are possible side-effects. Ice application can help to control swelling and stimulate blood flow to the area of injury. 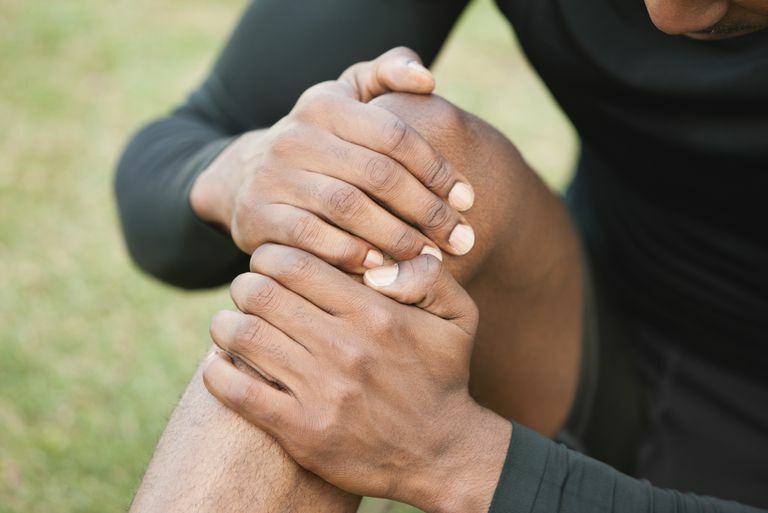 Once the acute inflammation has settled down, some basic knee exercise can help to restore mobility to the joint and prevent loss of strength. Return to sports should not be considered until mobility and strength has been restored to normal. In more severe injuries, surgical treatments may need to be considered. Most often these injuries occur along with other ligament injuries including ACL tears, PCL tears, or other damage within the knee. Recent studies have shown that patients who undergo surgical treatment tend to do best with reconstruction of the ligament with other tissue (a tissue graft), rather than repair of the damaged ligament. When the lateral collateral ligament is completely torn, grade III tears, a surgical procedure is typically recommended to either repair the torn ligament in order to reconstruct the ligament. When the ligament is torn at the location of the attachment to the bone, a surgical repair may be possible. When the ligament is torn in its central portion, typically a reconstruction procedure is performed. During this procedure tissue from elsewhere in the body, or tissue from a donor, is used to create a new lateral collateral ligament. Results of surgical repair of the lateral collateral ligament showed that people who have the surgical procedure done have better stability of their knee joint following surgical repair, compared to people who have nonsurgical treatment. The lateral collateral ligament is one of the four major ligaments to provide stability to the knee joint. Injuries to the lateral collateral ligament are relatively uncommon compared to injuries to the other major knee ligaments. However, when the LCL is injured, people may have pain, swelling, and instability of the knee joint. Partial tears of the lateral collateral ligament will typically heal with nonsurgical treatments where is complete tears of the ligament often require a surgical repair. Levy BA, et al. "Repair versus reconstruction of the fibular collateral ligament and posterolateral corner in the multiligament-injured knee" Am J Sports Med. 2010 Apr;38(4):804-9. Epub 2010 Jan 31. Schorfhaar AJ, Mair JJ, Fetzer GB, Wolters BW, LaPrade RF. Knee: Lateral and postereolateral injuries of the knee. In: DeLee JC, Drez D Jr., Miller MD, eds. DeLee and Drez's Orthopaedic Sports Medicine. 3rd ed. Philadelphia, Pa: Saunders Elsevier;2009:chap 23;sect F.
Do You Have Gamekeeper's or Skier's Thumb?